Christmas Ornaments crochet pattern download - snowman, house, and tree! This festive Christmas Ornaments pattern shows you how to make a snowman, a tree, and a holiday house! These make great tree ornaments, little decorations for gifts, or a holiday arrangement. Great for little secret santa gifts, or stocking stuffers! The pattern is in FULL COLOR and has been scanned and turned into a pdf for your downloading pleasure. Originally a 1985 pattern in Golden's Quick and Easy Crocheting series. Marked as EASY in their rating system. File is delivered instantly to you when you purchase. 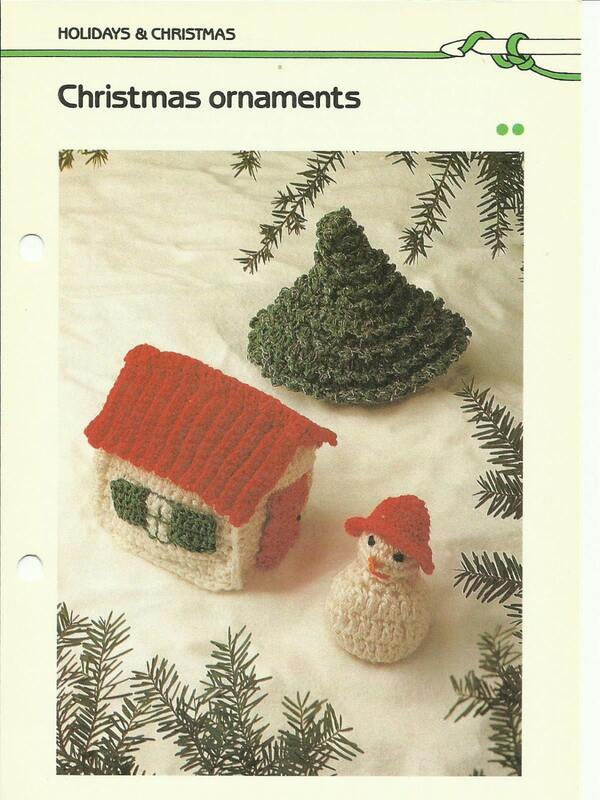 Includes instructions for making three types of ornament - snowman, tree, and holiday house.